Yve Evans is one of the greatest performers to ever grace a stage. 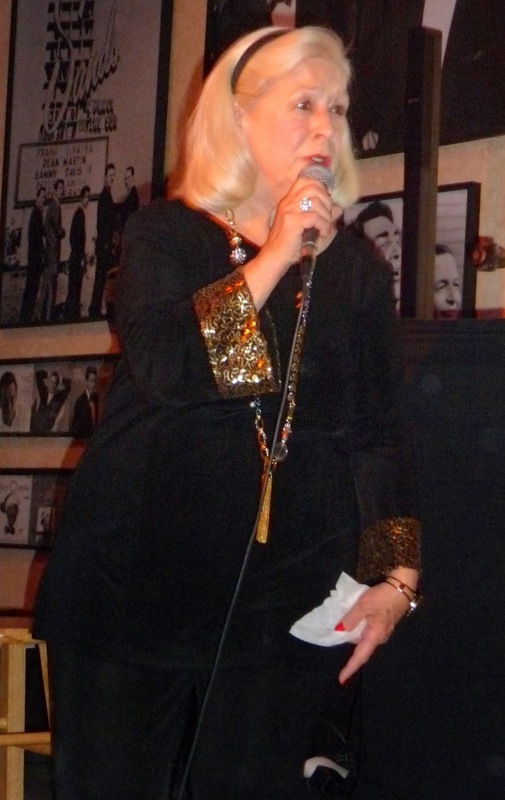 She sings like an Angel, plays keyboard like Ray Charles and has wit and comedic skills to match any star. Yve can sing along side Ella and Sarah and never look back. Combine all these talents with the fact that Yve is a truly kind and caring individual and you have the total package. We are so fortunate to be able to have Yve performing here in the Valley. Her mellow and rich voice moves through several octaves with seemingly no effort. Yve Evans is as good a singer as any major singer of the last century in my opinion. She is a musical treasure! At tonight's performance at Woody's in Palm Springs, Yve was joined by two musicians she has been playing with for over 25 years. Brad Bobo was playing an electric 6 string Bass and Larry Washington was playing Drums. The vibe between these three were sweet. After all the years of working together, Larry and Brad were able to follow every move and change Yve would take, and she never travels musically in a straight line. These two musicians are masters of their respective instruments. Putting them all together at Woody's put magic into the room. Herb Silverstein is a renowned ear surgeon, inventor, author and Philanthropist. These are impressive talents to be on anyone's resume but what impressed me and caused me to post this blog was Herb's talented ability to write fresh and wonderful music. Herb has written 10 original songs for his latest CD, "Monday Morning", and these songs have such strong structure and melody that I had to share this information with my readers. "Monday Morning" according to Herb is "a melange of leftover weekends, of fresh beginnings, of creating jump starts to the perpetual motion of life". This is a Jazz album that is new, easy to listen to, memorable and will make you want to play this CD again and again. Herb Silverstein, in addition to having a wonderful ability to write great Jazz music also plays top-notch piano. He is supported on the CD by four wonderful and experienced players. I am sure any one of them would an outstanding performer on their own CDs. 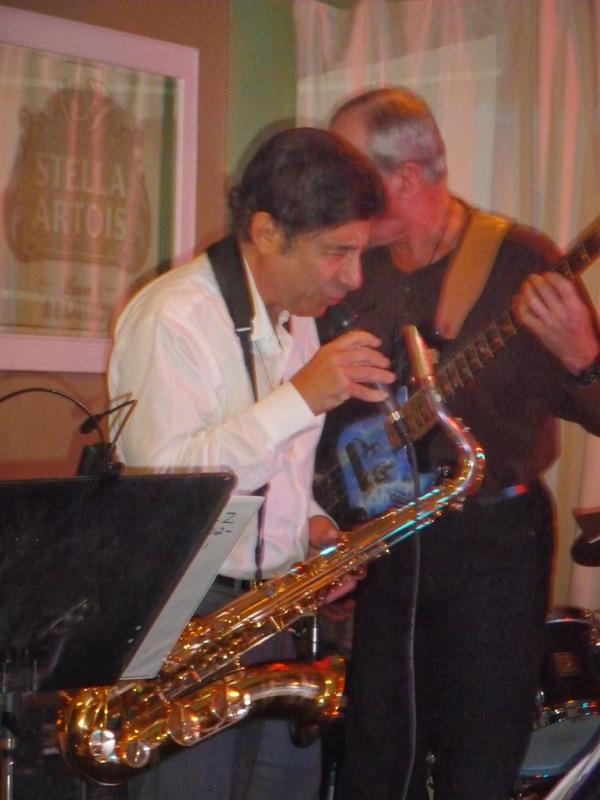 Jeff Rupert was on Tenor Saxophone and provided a wonderful classic Tenor sound and imagination. 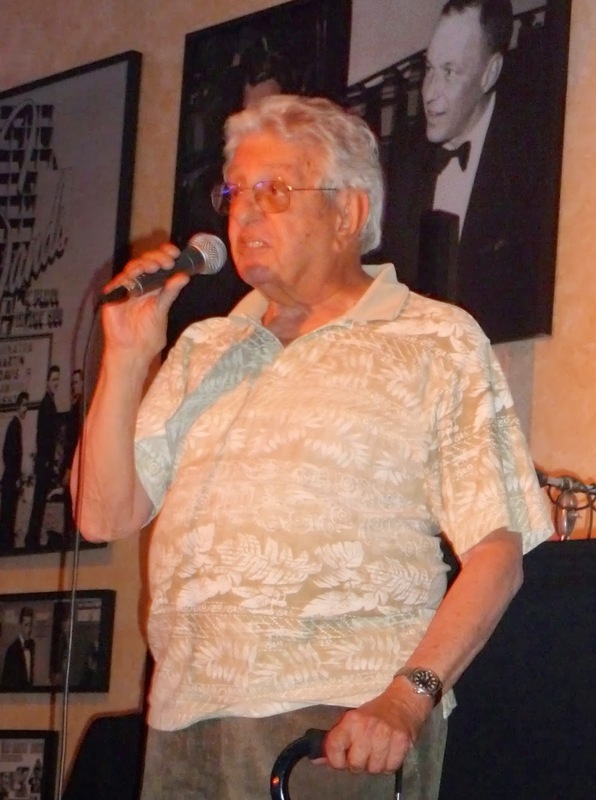 His credits include dates with Diane Schuur, Mel Torme, Benny Carter and Maynard Ferguson. Larue Nickelson provided excellent work on Guitar. Richard Drexler was on Bass and Marty Morell was on Drums providing a strong foundation for the group and the songs on this CD. This CD was released on January 14, 2014 and should be added to any Jazz buff's collection. 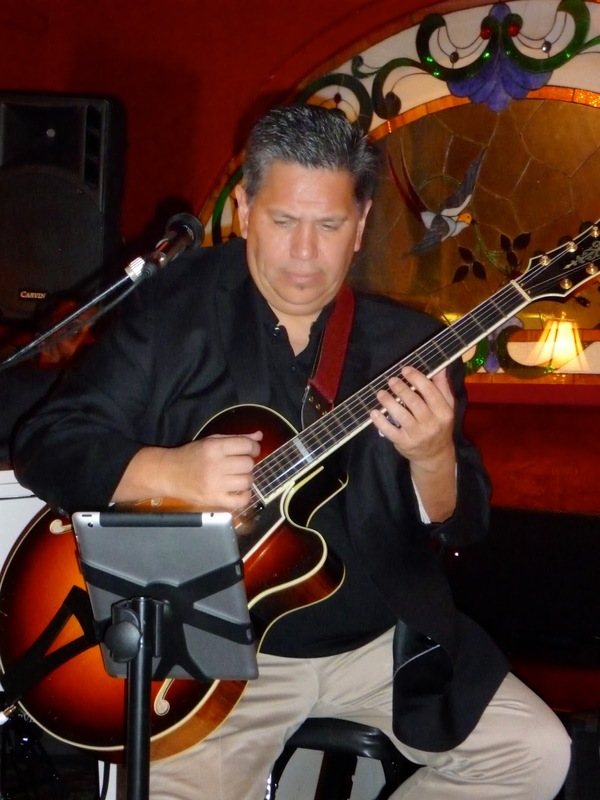 The Indian Wells Resort Hotel has "Open Mike" every Wednesday night hosted by two of the most talented performers in the West, Rich Bono and Poupee Boccaccio. I have written about Rich Bono in previous blogs but every time I hear him, I am just amazed at his abilities on the keyboard and his skillful vocals. 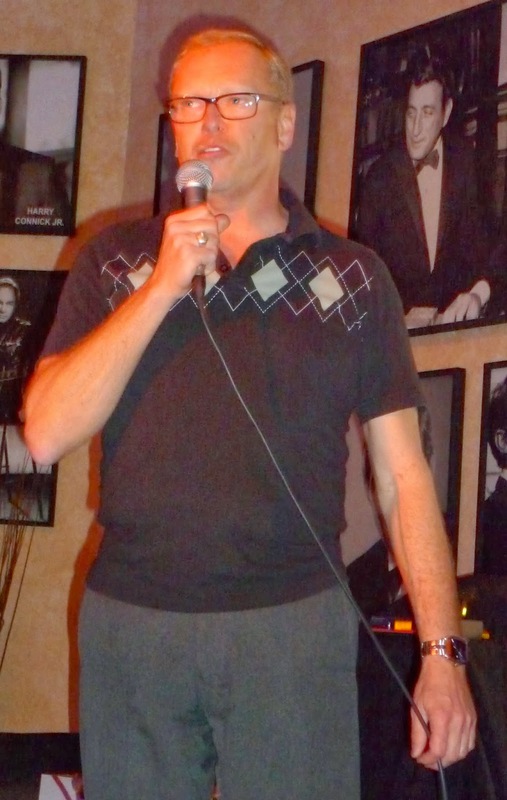 Rich also has the ability to accompany a vast amount of singers with different singing styles. Rich Bono's resume is stellar. 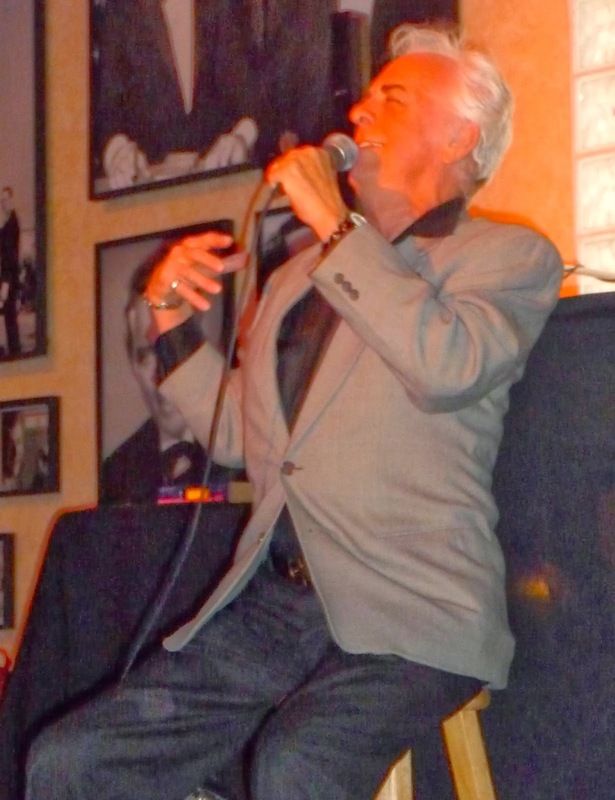 He performed in some of the biggest hotels in Las Vegas for over 25 years. 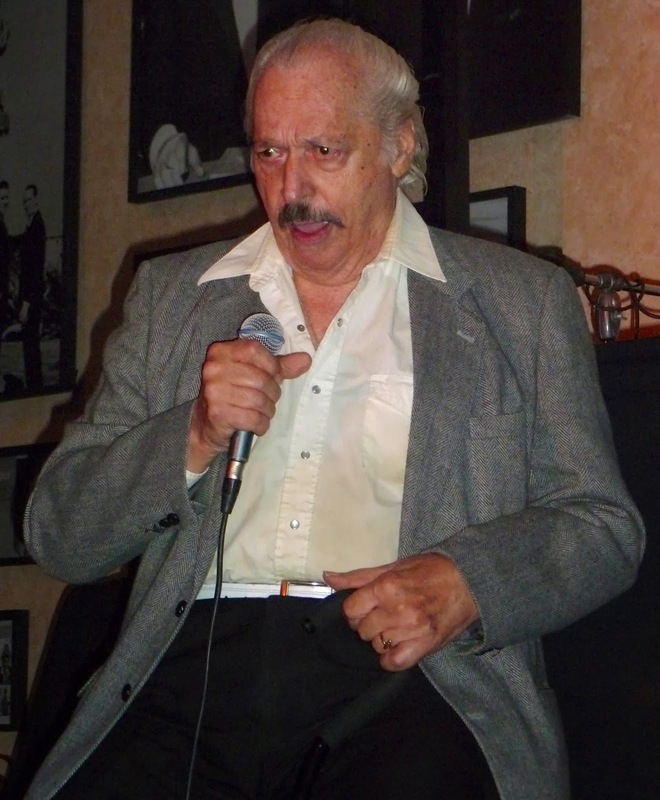 He also toured with the famous Harry James Orchestra and played as an accompanist for many musical stars like Jack Jones, Tony Bennett, Frankie Laine, Linda Darnell, Mary Kaye Jane Morgan, Don Cherry and Pat Boone just to mention a few. Rich's partner, the stunningly beautiful Poupee Boccaccio is also a mighty talent in her own right. 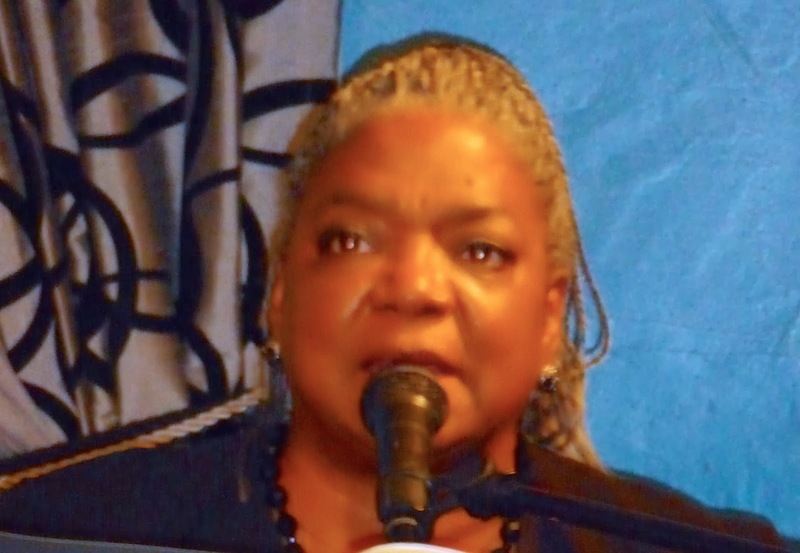 Poupee has had a successful career in the movies and TV and also speaks and can perform in 5 different languages. She has appeared on the "Johnny Carson Show", "the Joey Bishop Show", "I Spy", "Wild, Wild West", and "Get Smart" and many others. Poupee has acted in the following movies: "Colombo" with Peter Falk, "April Fools" with Jack Lennon, "Fastest Guitar Alive" with Roy Orbinson and "Pocket Money" with Lee Marvin & Paul Newman. 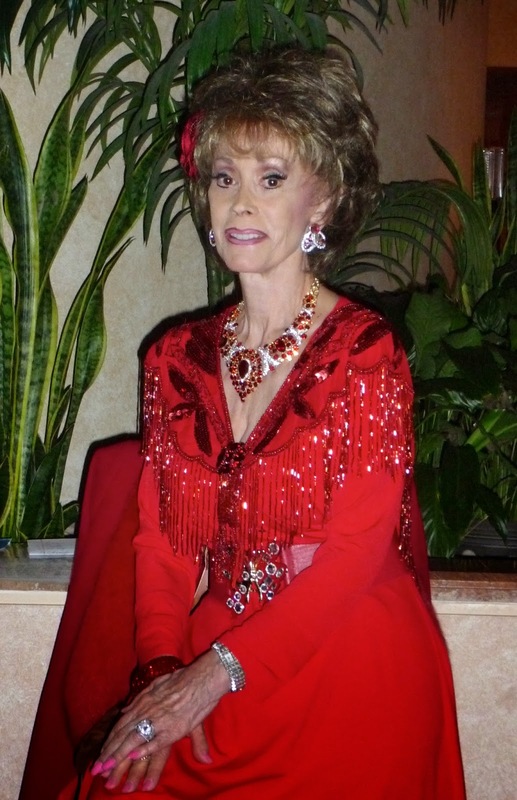 And for many years, she was a headline singer for the "Follies Bergere" in Las Vegas. I especially love when she sings in French. She could perform and star in any Jazz club in France with no adjustments. Because so many Valley singers want to perform on Wednesday nights, Rich and Poupee really never have an opportunity to show off all their talents. But make no mistake, these two are major-league performers. Tonight a long list of singers joined a packed house and performed to the delight of the crowd. 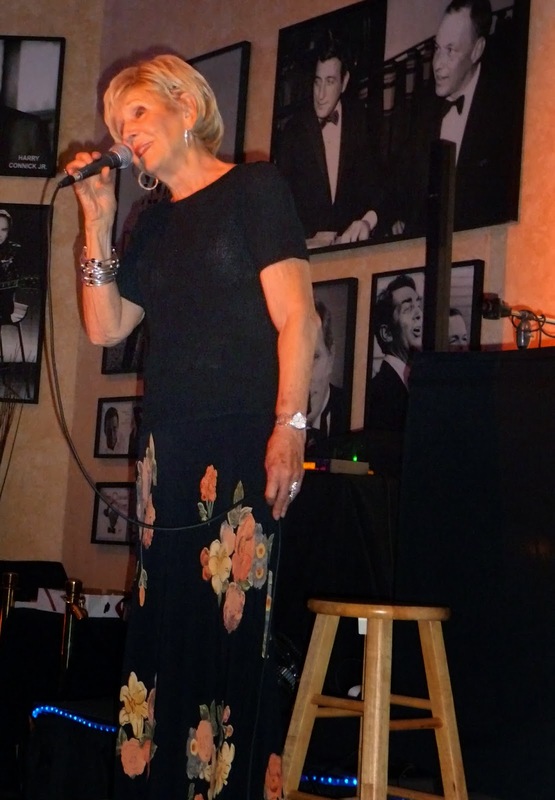 "Open Mike" is so much fun, and I recommend it to anyone who likes great singing and the best songs of the Great American Songbook. 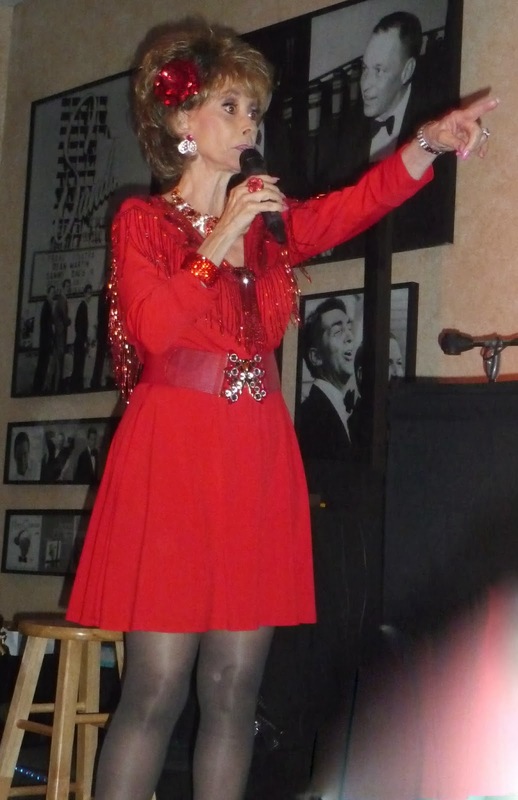 I have attached pictures of Wednesday's performers. I personally enjoyed everyone! Mikole Kaar's Jazz Show at AJ's on the Green Is Lots of Fun! I imagine that a great deal of my readers don't know about a neat new place to hear live Jazz on Tuesday nights. The place is "AJ's on the Green"located inside the Date Palm Country Club located at 36200 Date Palm Drive in Cathedral City. I was invited to listen to this group by the great guitar player Dan Papuila who was performing with the Mikole Kaar Jazz group. 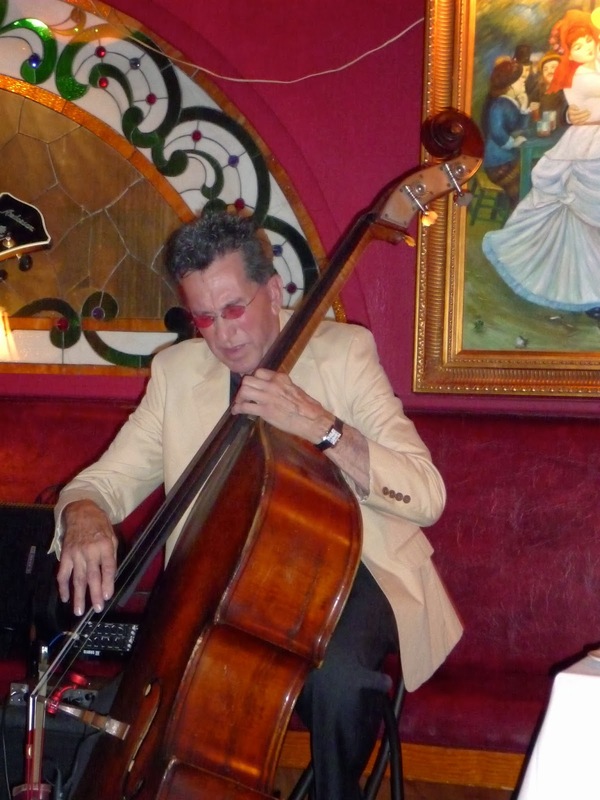 AJ's is a perfect spot to hear live Jazz, small and intimate. Mikole Kaar the leader of the group has been performing all over the Vally in the last few years and has developed a large following. Mikole is totally dedicated to performing Jazz, and my guess is even if he didn't have a gig, he would be where he could play as a sit-in guest. It's really good to see someone who is so totally dedicated to his trade. Mikole plays his Tenor Sax in his own style and sound which is unlike any other sax player in the Desert. Mikole asked some sensational players to join his Jazz group. Tonight, the always entertaining Dan Papuila was on Guitar. Dan is not only an outstanding Guitar player, he also is a renowned teacher. Dan has his own site that provides Guitar lessons and also provides a service where Guitar students can send in a tape of their performances and Dan will do a critique for them. I learned that Dan trades off every other week with our friend Brian Nova. Gilbert Hansen was on electric Bass Guitar and played in total unison with Tim Pleasant's excellent Drumming. These two pros make a great rhythm team! This group plays real "cool" Jazz that will please even the most purist of Jazz lovers. The unexpected surprise tonight was in the quality of food and service at AJ's. Art Herrera, co-owner and chef prepares excellent dinners. We had the risotto with scallops and the short ribs. Both were as good as we have ever had! The service provided by our waiter, James and the Hostess Sandy was also excellent. Put AJ's on your "Future Visit" list for Tuesday nights! 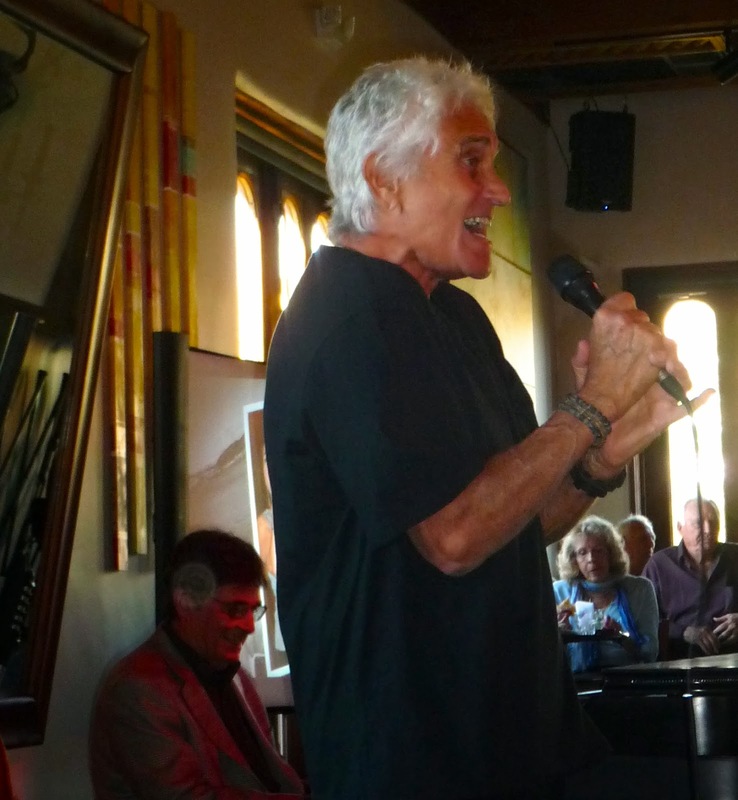 The Valley Music Community gathered at Vicky's on Monday for a "Celebration of Life" for Herb Koenig. 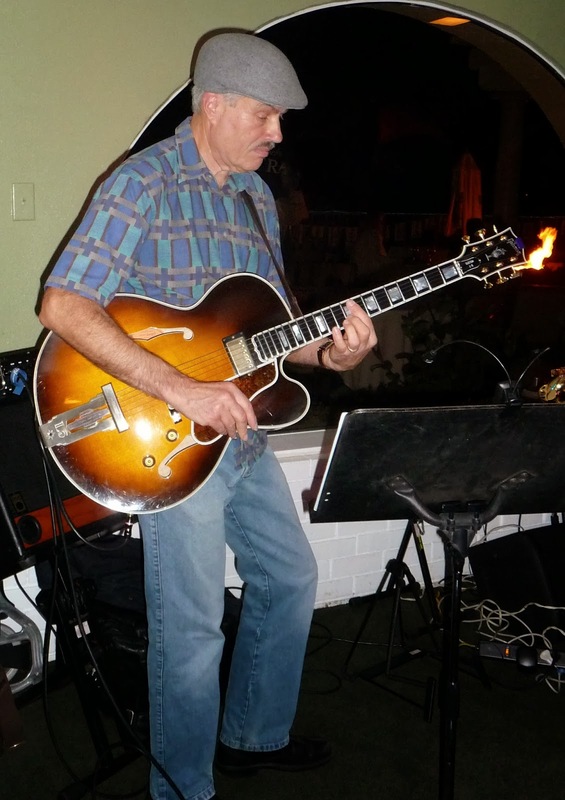 Anyone who has ever dined in any Valley restaurant that offers live music was sure to run into Herb Koenig. Herb was the official photographer for the entire music community and has taken thousands of candid pictures of musicians plying their trade. He was a big fan and even bigger supporter of live Jazz. I got to know Herb about 4 years ago at the time I was starting my blog. Countless times I would attend a live musical event and try to take the best pictures I could to publish on my blog along with my review. When I later reviewed my pictures, mostly taken in dark Jazz clubs, they were average at best. As I got to know Herb, I asked him if he would share any of his photos with me to use on by blog. He never refused my requests and quite frankly, the quality of his pictures were super! 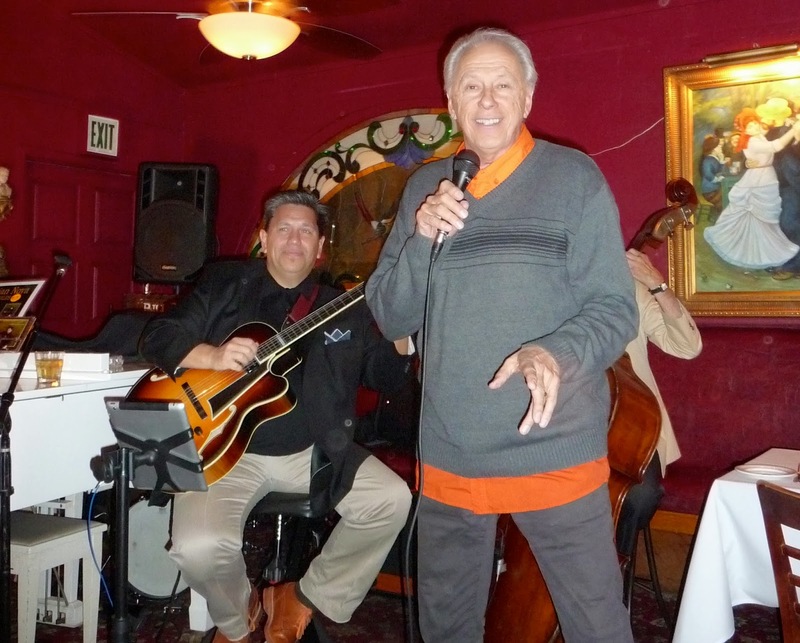 On Monday about 80 people, mostly performers, showed up at Vicky's, one of Herb's special venues, to honor Herb's life. It was a great time for everyone to remember and laugh at "Herb" stories. The party was given by Herb's daughter and son. They indicated that this was one of Herb's last requests. Herb wanted to be remembered with a party. It was a great party that began at 11:00 AM did not end until 3:00 PM. Herb would have love it! Special credit and mention needs to be given to a special group of musicians who agreed to play for all the performers on their usual day off. The group included Bill Saitta on Bass, Jay Lewis on Drums, Rich Bono and David Ring on Piano. I have attached below some pictures of the performers at the event.